Engage prospects, track visitors and enhance customer service through SalesIQ. Assign rules and route hot leads to top reps. 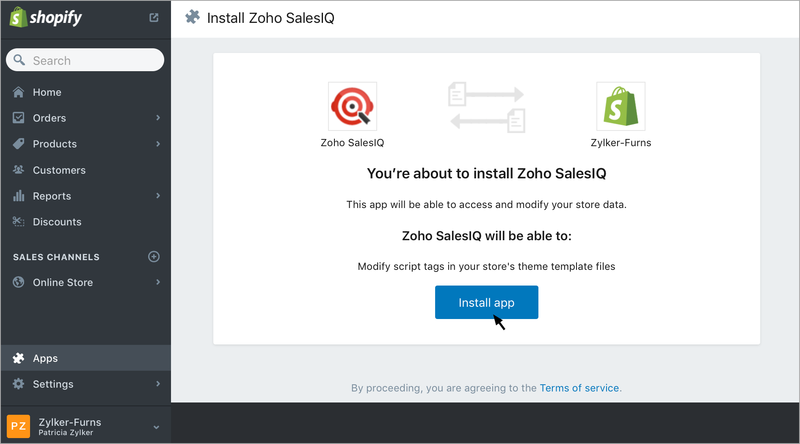 Enter your Zoho SalesIQ login credentials and select “Click here to add widget”. 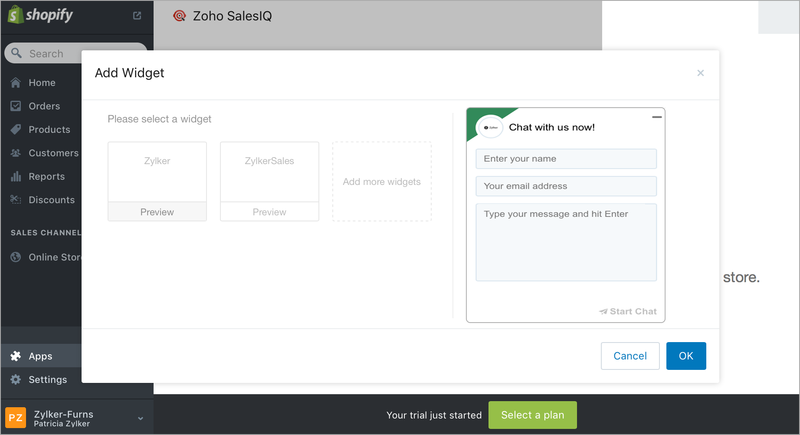 You will be listed with the Web embeds available in Zoho SalesIQ. 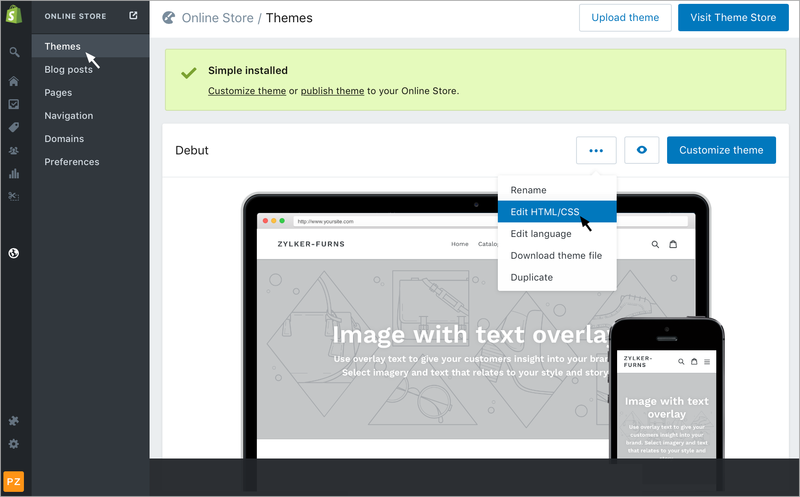 Select the embed which you like to add to your Shopify store or create a new embed by clicking on "Add more widget". Click “ok” to save your changes or "cancel" to disregard. 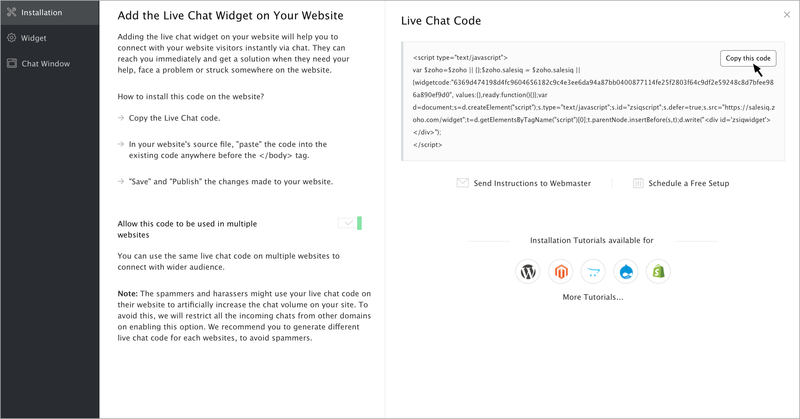 Once the chat widget is added to your website you will be provided with four options on your admin panel. 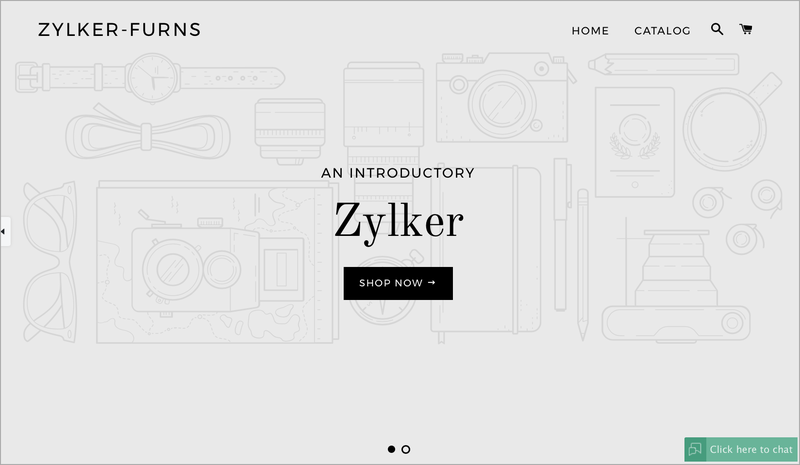 Change Widget – Allows you to change the existing widget from your Shopify powered store. Customize Widget - Allows you to customize the appearance of the chat widget. 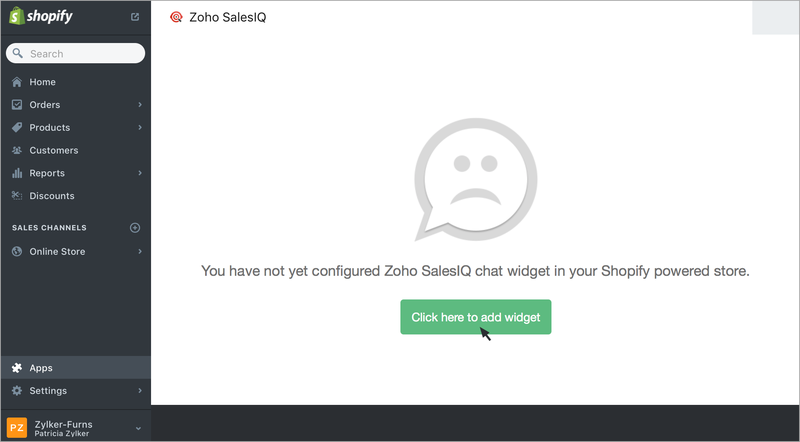 Remove Widget – You can remove the chat widget from your Shopify powered store just with the click. 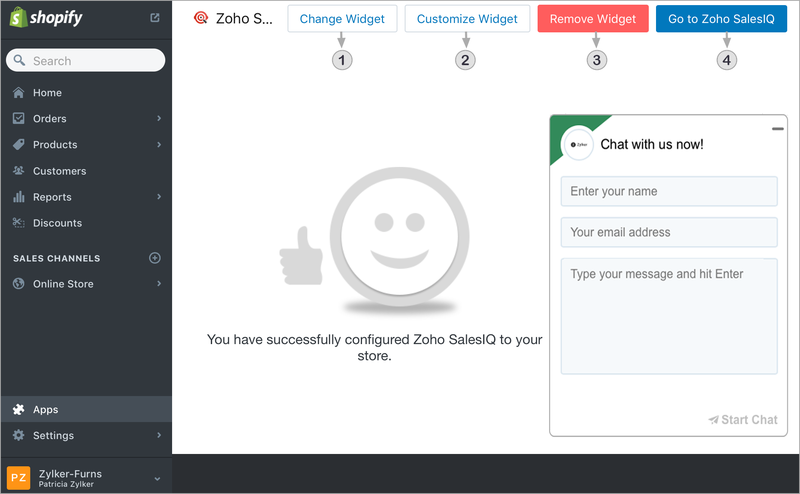 Go to SalesIQ – Easy access to your Zoho SalesIQ operator console. Log into your shopify administration area. 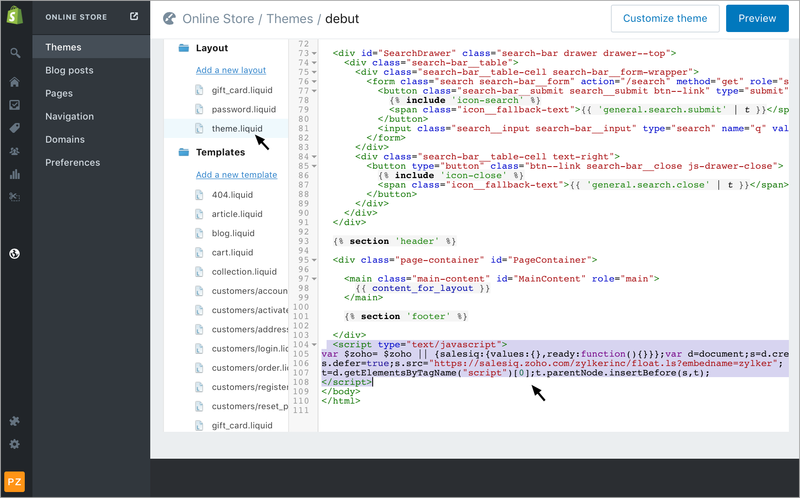 Click on "Theme.liquid" under Layouts. 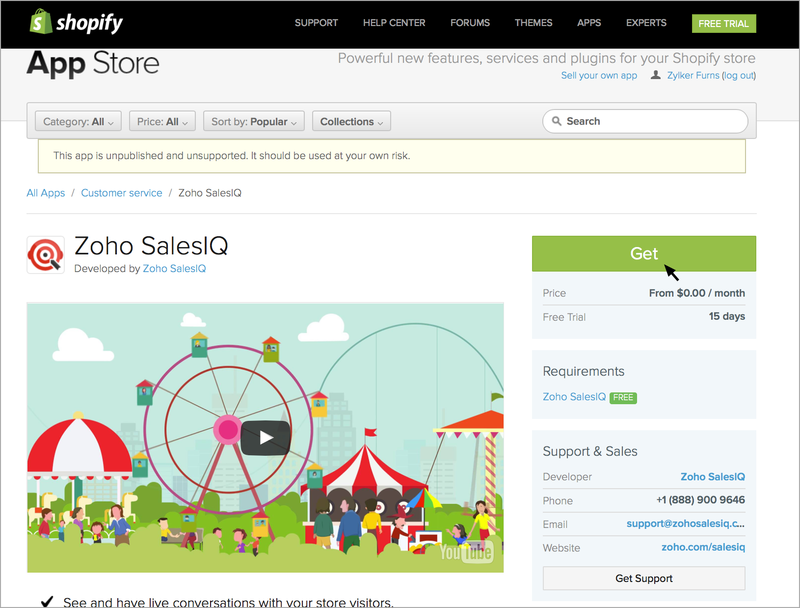 Scroll to the bottom of the editor panel and "paste" Zoho SalesIQ code between the body tags. Then click "save".